Lucky Frog were contacted by Blink TV to help out on the last tour (to date) that David Bowie has performed. 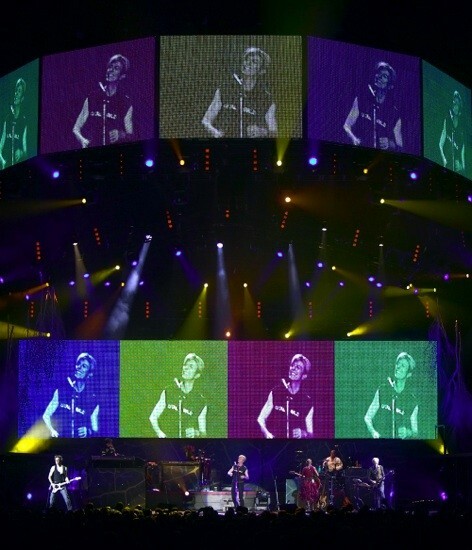 The screen content was a combination of artistic imagery and live playback and as it was very early days in the led ‘art’ touring industry there were no established techniques for creating successful multi-screen video. We patched together a stack of the available technologies in order to create the flexibility that Blink TV and David Bowie demanded and – obviously – all involved were very happy with the result.